We are only a few weeks into 2012, but Wedding season is already well under way! With the start of a new season comes new trends, old trends that are too good to get rid of, and everything else in between! So here we go...my personal take on the Top 10 Wedding Trends of 2012! 1. Video Save the dates Such a fun way to announce your engagement to your friends and family! I believe that more and more couples will be trying their hands at this fast growing trend. This video is my personal favourite, shown to me a few years back! 2. Ruffled Ballgowns Ruffles can be seen everywhere from the decor to the cakes, but my favourite is when it's part of the dress! Ruffles will make any bride feel like a princess, and who doesn't want to feel like a princess?!! 3. Vintage Elegance Vintage has been trendy for the past few years now, but with the 2011 Royal Wedding a new "marriage" of trends has emerged...Vintage Elegance. Vintage Elegant Weddings give you the best of both worlds. 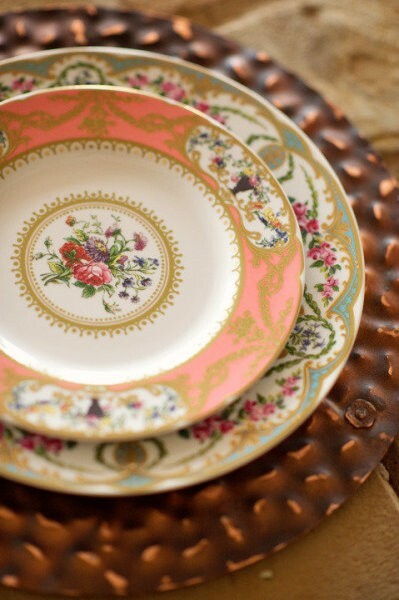 They give you the personal details one creates through vintage flea market finds and DIY projects, but still provide the Formal flair that is often desired at a Wedding. 4. Smaller Bouquets Another influence the Royal Wedding has had over trends is the size of Bouquets. Kate's bouquet was much more understated than Royal Weddings of the past, and many Brides seem to be following in her footsteps, with smaller and more meaningful Bouquets. 6. Ivory Hues This was a huge trend in 2011, and I know that we will be seeing much more of it in 2012. 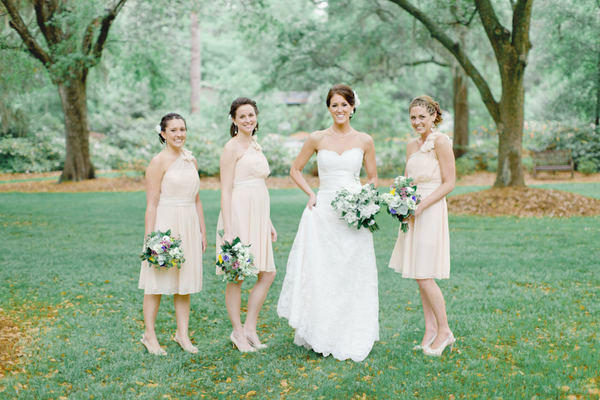 I love the idea of dressing your bridesmaids in all different ivory hues, perfectly complementing a soft and romantic wedding theme! 7. Long Tables I predict more couples will opt to use the long, "family" style tables to create modern, elegant seating arrangements for their guests in 2012. 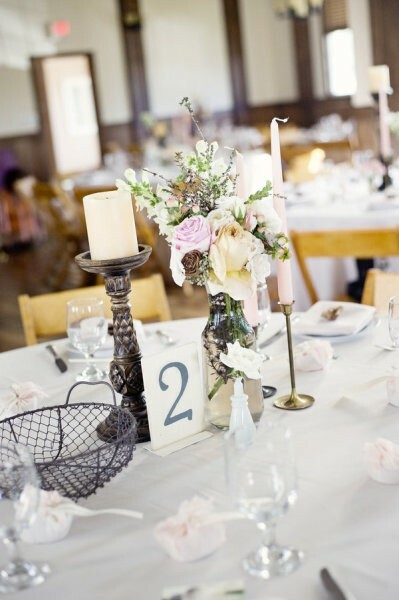 Take a look at the pictures below, and I think you'll agree that long tables are definitely swoon worthy! 8. Cakes Move over Cupcakes, because Cakes are making a return to the dessert scene! Elegant Weddings call for Wedding Cakes, and there are sure to be an abundance of delicious ones served in 2012! 9. Mismatched Bridesmaids Gaining in popularity throughout 2012 is the mismatched Bridesmaids dresses. Give your girls a colour scheme to stay within, and let them show off their own fabulous style! 10. Bands Having a live band at your wedding reception is amazing, as there really is nothing better than live music! I predict that couples are going to stretch their entertainment budgets in 2012 (and cut back in other categories of course!) in order to have live music to dance the night away!